Ah, St Martin.. the last time we visited the dual-nation island was 4 years ago (Caribbean post, March 2, 2012). Things were quite different back, we had just returned from our 8-month journey around the globe, still deeply subdued by the travel hangover. With winter in full swing (then and now), a trip to the Caribbean island was simply a must! St. Martin always held a special place in our hearts and we were very excited to share the experience with Olivia this time around. Joining us on the trip were our friends Jason and Jessica and their son Jasper, who quickly became Olivia’s bestie for the entire trip. They became inseparable from the plane ride down to St. Martin. This trip would take us back in many ways, back to our favorite Caribbean island, back to where we got married, and back with friends. The reason we even started going to St Martin was to visit our friends Jenn and Mark who relocated there in 2009. They have since founded Les Fruits de Mer, an organization devoted to extreme shallow snorkeling that eventually morphed into a grander organization now devoted to preservation and education of wildlife on the island (and throughout the Caribbean). They do some pretty amazing work and luckily our trip coincided with the annual Tacousteau, a night of food and fête and paying homage to the man who inspired them, Jacques Cousteau. Part of their recent work paved the way for the grand opening of Les Fruit de Mer’s Amuseum Naturalis (a pop-up museum showcasing the natural history of St. Martin and the Caribbean), which we experienced on our second night. The museum is free and well worth a visit! 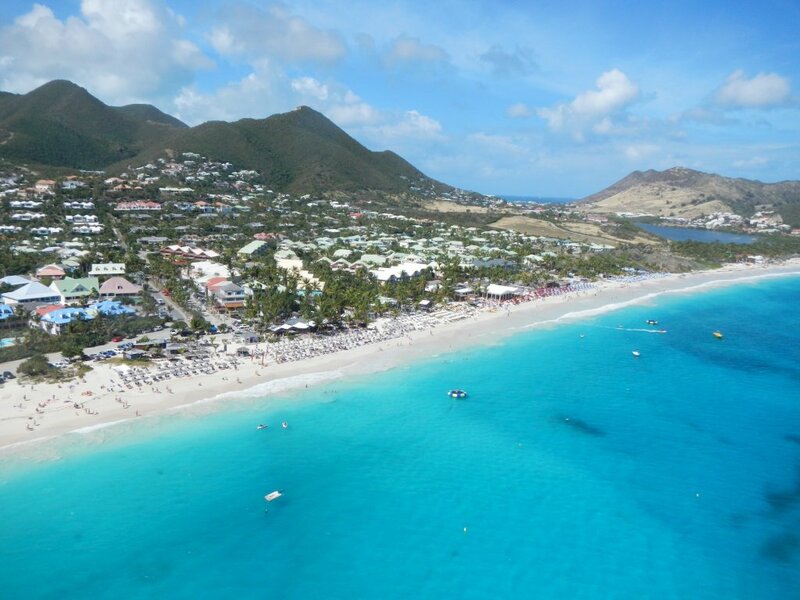 St. Martin or Sint Maarten (depending on which side if the island you’re on – French or Dutch), is a mid-size Caribbean island adorned by beautiful beaches, 36 in fact. We stayed at Orient Bay on the French side, in close proximity to several beaches which quickly became integrated into our daily itinerary. Also easily accessible from Orient Bay is the launch point for day-trips to nearby Pinel Island (some say this is the best kept secret on the island). 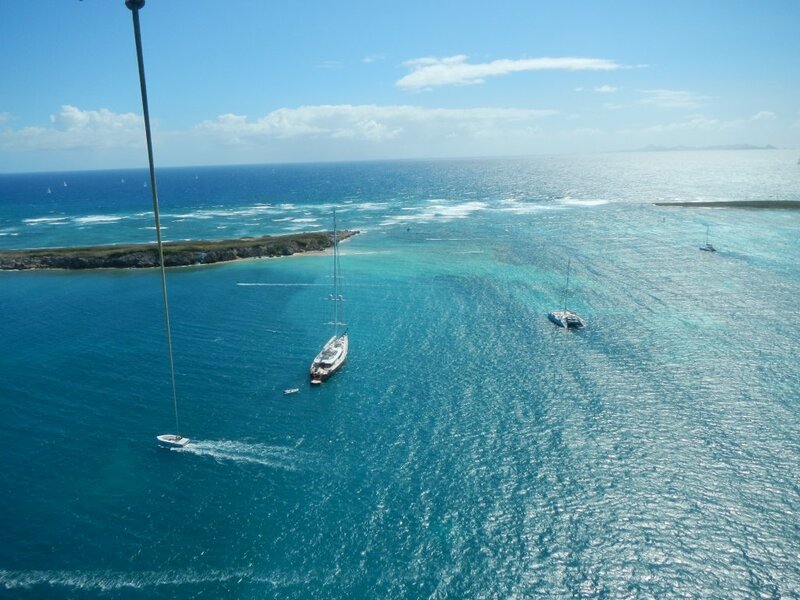 A 5-min boat ride or a kayak over are the most popular ways of reaching Pinel. Once there, the mood is even more laid back than on the mainland, a perfect way to spend a day. The island’s two restaurants make the experience quite relaxed, offering lounge chairs, drinks and food service. 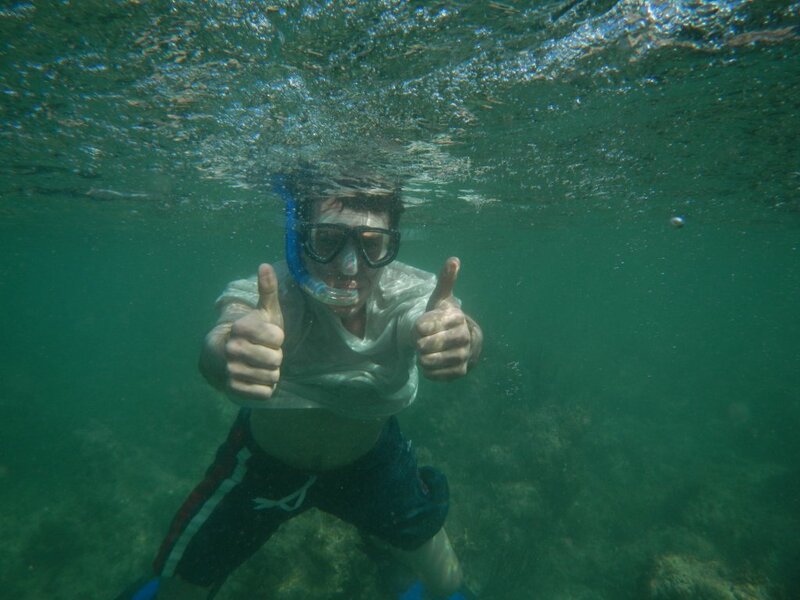 Pinel is also a notable spot for water activities, primarily snorkeling. For those who seek a little bit privacy or wilderness, the other side of the island offers the perfect setting. Brigitte explored this part with Olivia napping in the ergo, soothed by the sound of gentle waves crashing onshore (almost “replicating” her sound machine at home). 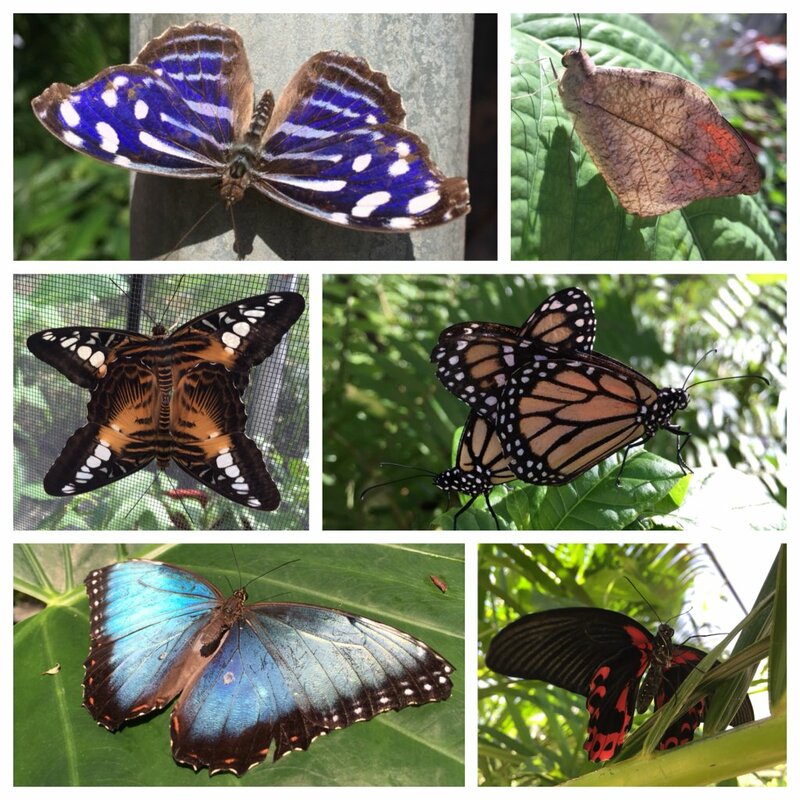 Our mornings on St. Martin were consumed mainly by beach-time, never setting upon the same beach twice (although on one occasion we ventured to the Butterfly Farm, a fun attraction for kids and adults). The kids found endless fun meddling in the sand, running around, and taking several dips in the water. I too engaged in the same pleasures sans the running around part, while others embarked on more adventurous endeavors. Brigitte set the bar high with her first-ever parasailing stint (at Orient Bay), while Jason and Jenn opted for a more abysmal ambition.They went snorkeling during part of our day at Pinel. Both of their experiences rendered telling pictures of fun, discovery and beauty. I kind of wished I had been more active myself but daydreaming on the beach got the best of me with island time in full effect. My imagination would drift into the blue-speckled hues of the Caribbean Sea, staring endlessly into the horizon as the cold Carib beers amplified my state of ease. This was my moment boys and girls, this was the big chill (until Olivia woke from her nap of course). As the week wore on our sun influenced complexions told the tale of our vacation. The week in St. Martin offered us many pleasures, beautiful beaches, turquoise waters, frozen piña coladas and cold beers to keep cool, bonding time with friends (old and new), and the invigorating reminder that weeks like this are very necessary. Above all, having Olivia and Jasper with us and seeing them in their element was truly special. Merci St. Martin! This entry was posted in Post a.b. journey Trips on February 22, 2016 by lexussin. jesus christ! the pilot could have put sun tan lotion on you as he flew by! looks like a great trip and glad to see the family is doing well! As usual, a wonderfully written post and great photos!!! The colors are spectacular! !